IT Best Practices: On manufacturing floors, OT dominates due to its exceptional reliability, but IT excels at aggregating data for analysis and action. Manufacturing efficiency could greatly benefit from IT practices, but a range of issues inhibit adoption, including a general lack of open solutions in OT. Tied to this, wired sensor technologies dominate OT manufacturing environments, in part because there are currently no open, low-power wireless standards in the OT world. 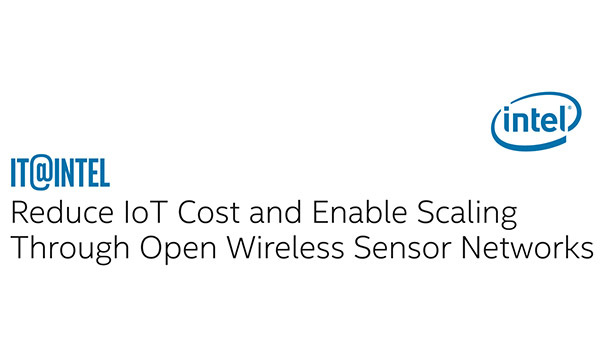 This paper discusses a deployment project in which, based on simulations and lab analysis, we placed scores of Bluetooth Low-Energy (BLE) sensors with Intel IoT Gateways in a live manufacturing environment. We encountered some significant environmental challenges, but our results indicate that wireless sensor reliability exceeds 99 percent and, despite having attributes which might be improved in future deployments, is suitable for deployment in today’s manufacturing environments.